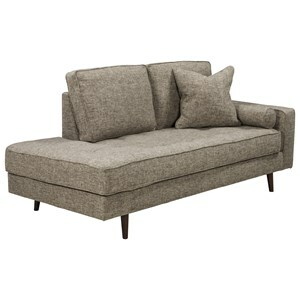 Relax and lounge in contemporary style with this inviting chaise. Although the plush cushions are sure to give you the comfort needed to make this your new favorite spot, it's the stylish details that make this chaise stand out. 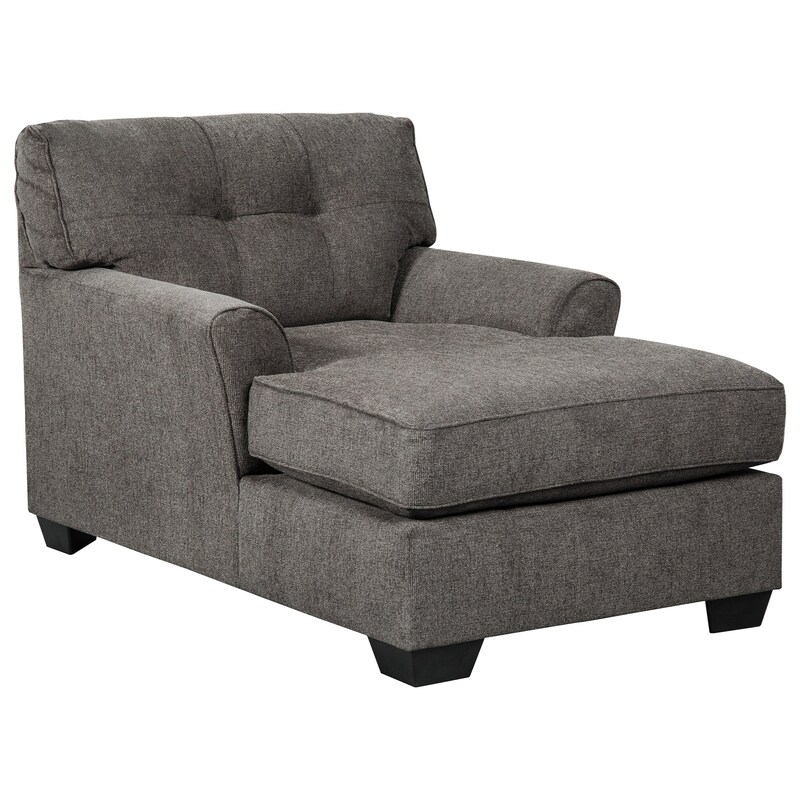 The tufted back has been paired with flared arms to bring in a sophisticated touch, and the warmth in the grey toned upholstery ensures this chaise is at home in any color scheme. The Alsen Contemporary Chaise with Tufted Back by Benchcraft at Household Furniture in the El Paso & Horizon City, TX area. Product availability may vary. Contact us for the most current availability on this product.